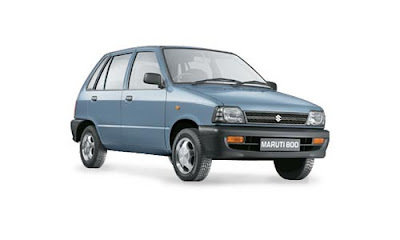 An evergreen choice of every one and most trusted car for decades well you guessed right it is Maruti 800, car of everyone. This car has a principle of giving full satisfaction and in true sense it is actually a common man's car, specially made for him to give wings to fly on the road. 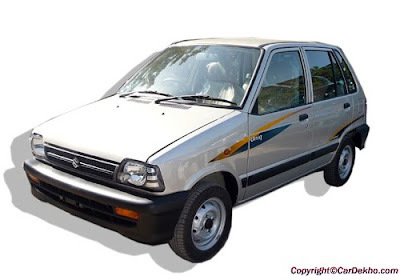 Maruti 800 is a dream car of middle class, has got some unique features that made it user friendly car. Maruti 800 car to be trusted upon has got lowest fuel consumption cost, compact structure very easy to park. 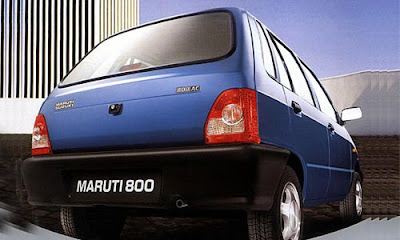 Maruti 800 simply adds a new style as it has a small structure along with 4.4 meters of radius . Amazingly it used to be largest selling car in India and became heart favourite of everyone. Gives the top speed of 125 km/h (78 mph) and a better fuel efficient as well. Maruti 800 delivers the mileage of 20 km/l (47 mpg) . As this wonderful car is an offspring of Maruti Udyog and promises 37 bhp (28 kW) of power . Embedded with 12 inch (305 mm) wheels for a smooth and comfortable drive. Maruti car has a price range of Rs 1.88 to Rs 2.23 lacs very affordable and pocket friendly in real terms it is actually common man's car. It has a curb weight of 650 kg (1433 lb). Four passengers along with a driver can sit comfortably. Amazing Maruti 800 has got the style of wonderful interiors as well as exteriors. It has Laminated windshield supported with Additional body reinforcement along with Side impact beams. Interiors will give you comfort and satisfaction. As this car requires low maintenance as well as very affordable to buy thats why it is titled as “ user friendly car”. The car that provides economy. So a reliable car is just right in front of you to fascinate more, get drifted by the wave of Maruti 800!